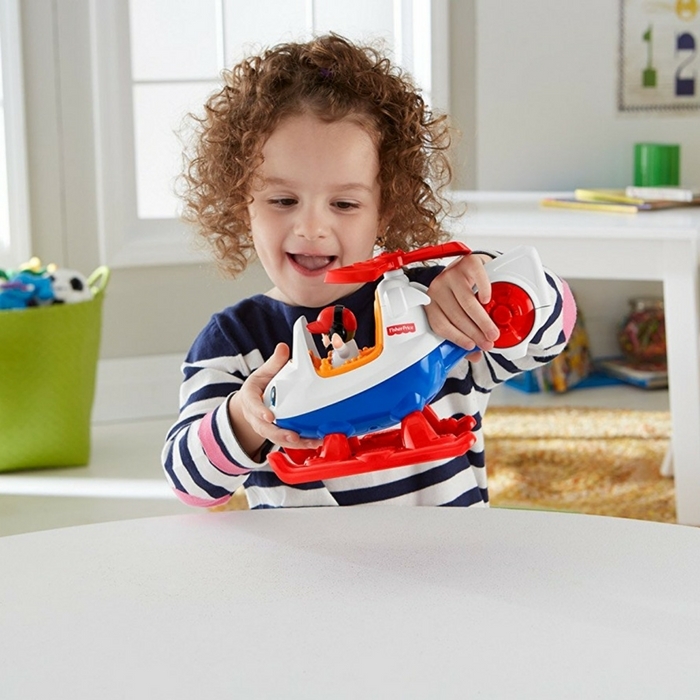 Fisher-Price Little People Helicopter Just $14.99! Down From $38! You are here: Home / Great Deals / Amazon Deals / Fisher-Price Little People Helicopter Just $14.99! Down From $38! I’m sure your little ones would love this toy from Fisher Price! Hurry over to Amazon where you can get Fisher-Price Little People Helicopter for just $14.99 down from $37.99 PLUS FREE shipping with Amazon Prime or for orders over $25! With realistic sounds, phrases and music, the Little People Helicopter is the perfect vehicle for encouraging toddlers to imagine what it’s like to hover high above the streets and keep watch on the town below. They can pretend to fly anywhere and hear fun phrases like, “Weather looks great for a flight,” to help their imaginations really soar! Make your little one happy! Get it now!